I have heard others speak of Jen Turano several times, so when I saw this book in a gift shop, I just had to buy it. 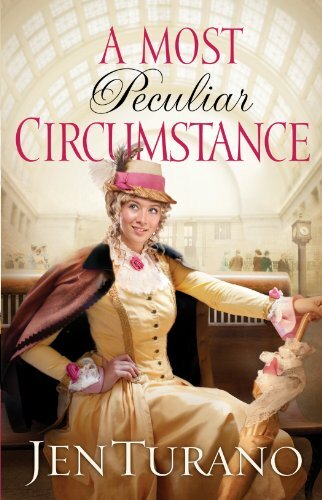 A Most Peculiar Circumstance was a delightful read. Arabella Becket is a young lady who has a knack for getting into trouble, but all she wants is to support the women’s suffrage movement. When Mr. Theodore Wilder, a private investigator hired by his friend Hamilton Beckett to locate Hamilton’s sister, finds Miss Beckett in jail, she exhibits a fiercely independent streak, bringing him to his wit’s end. However, as their paths continue to cross when they return to New York, Theodore finds himself intrigued by Arabella. Ms. Turano does a wonderful job of creating well-developed characters that sometimes made me laugh out loud. Ms. Turano is also very adept at drawing her readers into the story with clear descriptions and clearly showing the thoughts and feelings of her characters through their actions and reactions as well as their dialogue. She had me cheering for Miss Beckett and Mr. Wilder as Miss Beckett went from one spot of trouble to the next. Miss Beckett became quite endearing as she realized some things about herself and determined to help those less fortunate than herself. 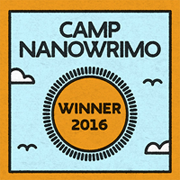 As a writer, I appreciate quality writing, and I found myself noting the way Ms. Turano worded things in a way that drew me into the story and the character’s minds–something I hope to accomplish with my own writing because it not only makes reading a story an adventure, but an experience. This may have been my first Jen Turano book, but it will not be my last. I look forward to reading more of her books very soon.